Vantage in downtown Jersey City will officially usher in Summer when the 45-story upscale rental building hosts a community “Block Fest” on Sunday, July 8th from 12 p.m. to 3 p.m.
All members of the public are invited to the event which will take place at the corner of Marin Boulevard and Park View Avenue in the Liberty Harbor North neighborhood. The Statue of Liberty and Liberty Harbor Marina will serve as the perfect backdrop for the fun-filled afternoon where guests will enjoy live music, family-friendly events and children’s activities with cotton candy, face painting and balloon twisting. Those in attendance will also be given the opportunity to win free raffle prizes, including cleaning services from Maid in JC, a “day getaway” courtesy of om.life and two tickets to a New York Yankees game. Popular local food trucks Angry Archie’s, Cubano Express and Glazed & Confused will offer a variety of tasty treats to purchase and neighboring Jersey City shops, such as Little Batch Candle Co., Taproot Organics and om.life, will be on hand to display and sell products and services. The “Block Fest” will be hosted by Fisher Development Associates, developer of the 448-home Vantage building, and Bozzuto, its management firm. The Vantage leasing office will be open throughout the afternoon to provide interested guests tours of its model homes and world class amenities, including the 45-story Vantage Point Sky Lounge which boasts incredible New York City views, and an expansive sixth-floor outdoor amenity deck with zero entry swimming pool, lounge, landscaped area and full-court basketball court. The glass curtain wall Vantage was designed by S9 Architecture and features studio, one- and two-bedroom apartments. The high-rise building will be home to Park View Academy, an innovative daycare center, which will open its first location in the ground floor retail space in early 2019. 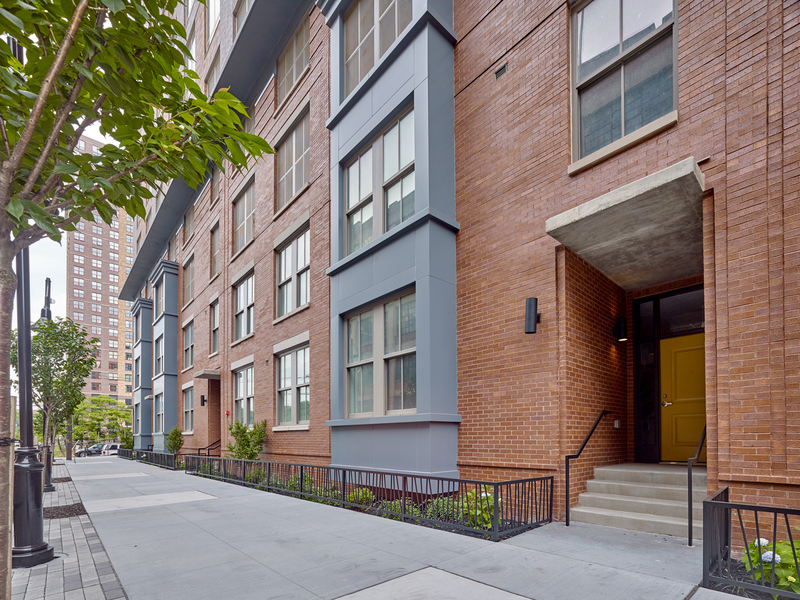 Located at 33 Park View Avenue, Vantage is conveniently located steps from New York Waterway’s Liberty Harbor Terminal, A Citi Bike Station and the Marin Boulevard Hudson-Bergen Light Rail. Vantage has received LEED Certification from the US Green Building Council. For additional information, please visit www.VantageJC.com or call 201-333-1222. The building’s leasing and model center is open daily.